As the laureates of the Nobel Prize in chemistry on Wednesday, October 3, there have been named American chemists and George P. Smith, as well as Britain’s Sir Gregory P. Winter for their achievements in biochemistry. The Royal Swedish Academy of Sciences announced in Stockholm that one half of the prize would go to Frances Arnold «for the directed evolution of enzymes». 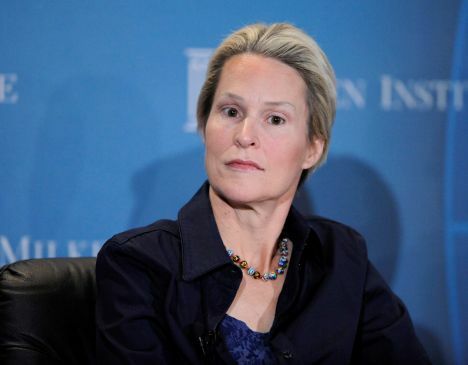 The applications of Frances Arnold’s enzymes include more environmentally friendly manufacturing of chemical substances, such as pharmaceuticals, and the production of renewable fuels for a greener transport sector, reads the Academy’s press release. Other half of would jointly be awarded to Smith and Winter «for the phage display of peptides and antibodies». The total Prize money is 9 million Swedish krona and equivalent of 866 thousand euros.